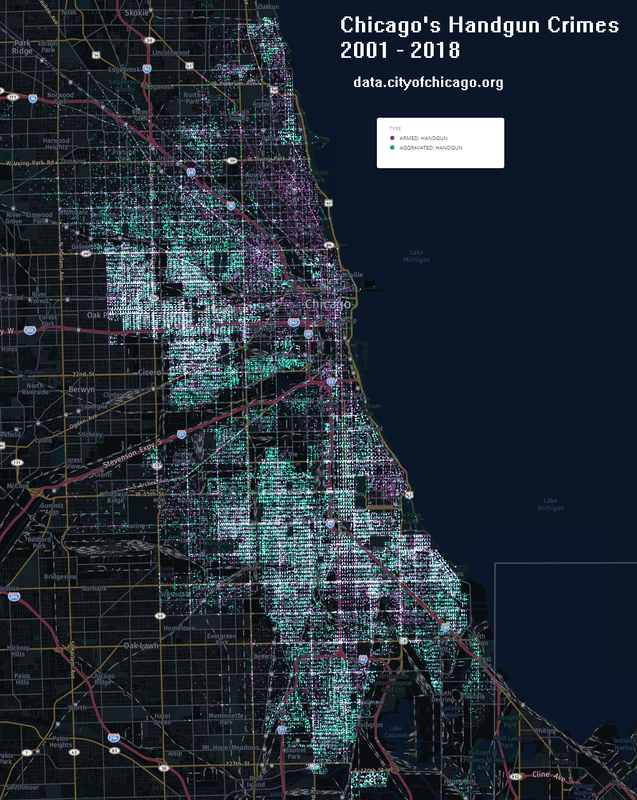 Data is from https://data.cityofchicago.org. 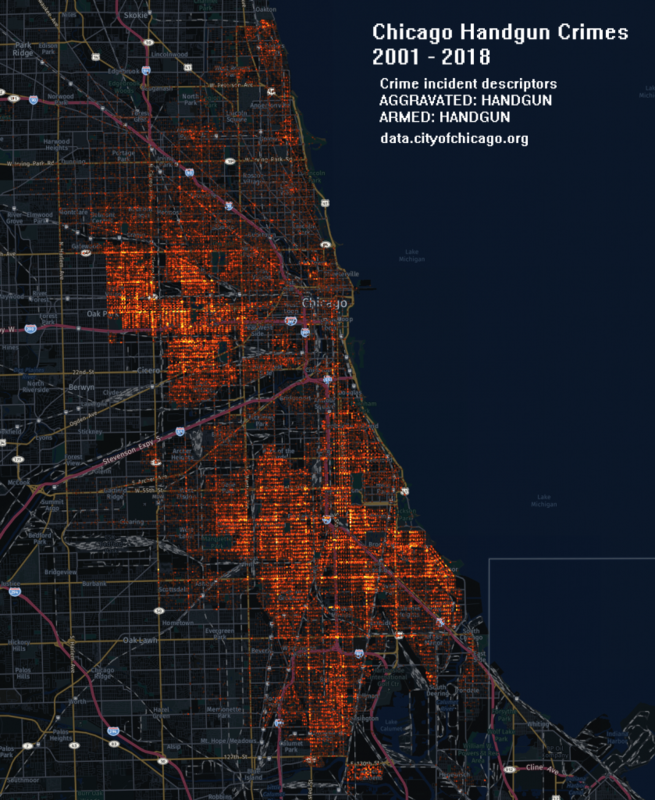 Chicago police department’s crime incident reports were filtered to contain descriptors of Aggravated Handgun, and Armed Handgun. Maps were rendered using Carto. This entry was posted in Chicago Data, DataViz on 02/24/2018 by MantasCode.